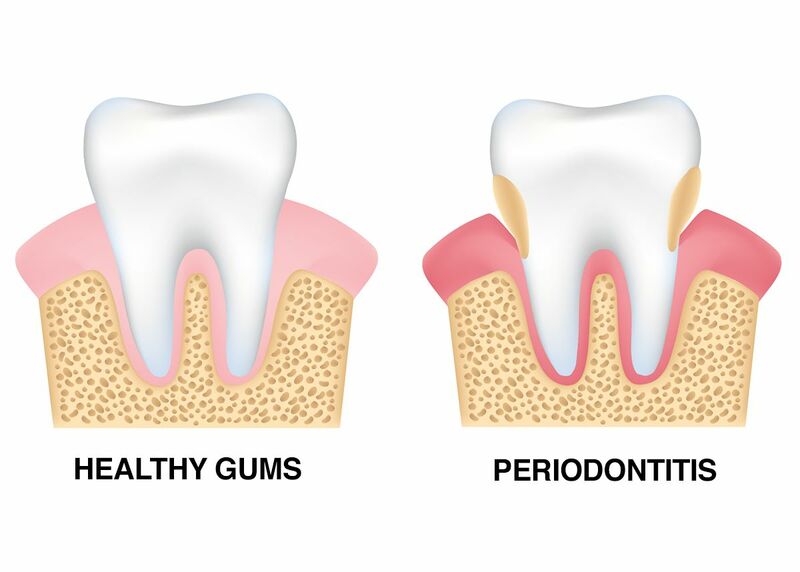 Gum disease, also called periodontal disease, is a common oral health problem most often recognized by bleeding gums when brushing or flossing. If left untreated, gum disease can lead to tooth decay and tooth loss. Seeking treatment for gum disease is essential for your oral health. General dentistry treatments can help prevent gum disease and tooth loss, keeping the smile healthy and beautiful for years to come. To learn more about your treatment options for tooth loss and gum disease, schedule a consultation with Wilmington, DE dentists Jeffrey J. Emmi and Laura Dougherty. Tooth decay: Tooth decay is a common complication of gum disease. Decay may occur at the gum line or below, reaching the tooth's delicate roots. When decay becomes severe, the tooth may fall out or become so damaged that it must be extracted to protect oral health. Pocket formation: Pockets may form between the gums and teeth as gum disease progresses. Pocket formation develops as plaque and tartar collect along the gum line. As more debris settles, the pockets become larger and larger, ultimately allowing plaque and bacteria to reach the roots and jawbone. Infection of the jawbone: When gum disease reaches the jawbone, often as a result of pocket formation, the jawbone may loosen its hold on the tooth, causing the tooth to become loose and fall out. Gum recession: Gum disease can also cause the gums to recede and loosen their grip on the teeth. Also, as gum recession occurs, bacteria can access areas usually protected by the gums, causing tooth decay, which can also lead to tooth loss. Brush and floss: Brush the teeth for a full two minutes at least twice a day and floss each side of each tooth and along the gum line at least once a day. Rinse with an antiseptic mouthwash: Further reduce bacteria within the mouth by rinsing with an antiseptic mouthwash after brushing and flossing. Schedule regular dental exams and cleanings: Schedule regular dental exams and cleanings every six months to prevent plaque and tartar buildup and catch oral health problems, including gum disease, early. For answers to your questions about tooth loss and gum disease, or to discover your treatment options, we welcome you to schedule a consultation with our team at Smile Solutions by Emmi Dental Associates.